In 2012, Guy founded and led the Israeli office of Deutsche Telekom, before setting up the fund in 2015. Since 1998 Guy has been involved with developing and commercializing innovative technologies in the mobile, Internet and enterprise technologies space – in startups, corporates and as a venture capital investor. 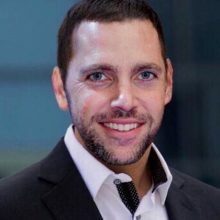 With roles spanning from product management to marketing, strategy and business development, and as an investor, Guy has been engaged in getting Israeli innovation into the hands of enterprises and consumers worldwide. Between 2004 and 2012 Guy held various executive positions in TaKaDu, modu Mobile and Microsoft, and spent 5 years in Gemini Venture Partners, investing in innovators such as PrimeSense (acquired by Apple), Adap.TV (acquired by AOL) and Outbrain. Before his venture career Guy headed mobile products in Commtouch (Nasdaq: CTCH) and was also head of product management in Followap (acquired by Neustar). Guy is an investor in AppsFlyer, Dynamic Yield, SafeBreach and Morphisec. He was also an investor in VR innovator Replay Technologies, acquired by Intel in 2016, and Cyber Security startup FireGlass, acquired by Symantec in 2017.